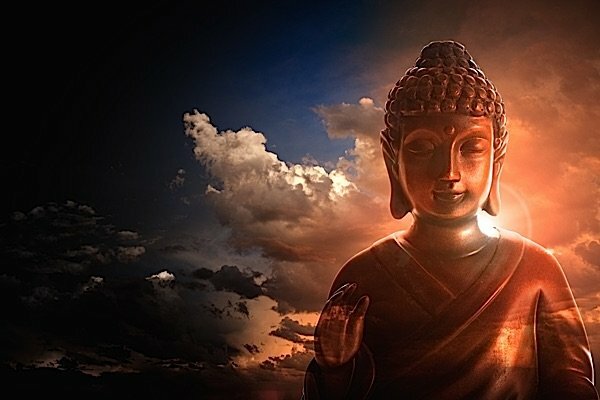 Buddha Nature (Buddha Dhatu) is one of the most important and inspirational foundation understandings in Mahayana Buddhism — possibly the most important. 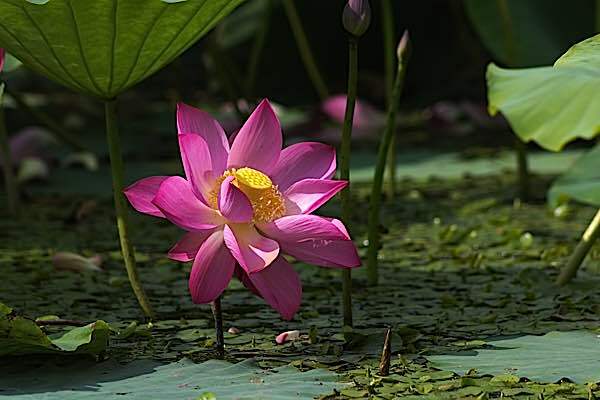 The symbol of the Lotus — while it means many things — is the most striking symbol of Buddha Nature: the Lotus flower (our Buddha Nature) emerging from the muck in the bottom of the pond (our defilements and attachments) — yet untouched by the mud. The quickest definition of Buddha Nature would be: the Luminous mind of all sentient beings that eventually, cleared of all defilements, will become Buddha. In other words, all beings have the potential to be Buddha. The sun may be hidden by clouds, but it is always there. Our Buddha Nature, likewise, maybe obscured by our attachments and defilements, but it is always there. It’s not something we have (like a soul) but something we are. Buddha Nature is often described as the sun behind the clouds. The sun is always there, even if you can’t see it. But when the visual obstruction disappears, the sun shines.